In 2006, the “Vegetation Map of South Africa, Lesotho and Swaziland” was published. The book not only mapped the delineations of 440 zonal and azonal vegetation types, but described each of these vegetation types. The interactive map, as well as the descriptions are available on the BGIS website. Follow the instructions below to view the pdf descriptions. The “Open Map>>” button next to each listed entry will open the interactive map viewer of interest in a new window. Search for the 2012 National Vegetation Map and click on the “Open Map>>” button. The 2012 National Vegetation Map should load in a new window. Select the identify tool found under the “Getting Around” tab. 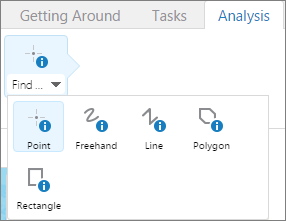 Any of the “Find” tools under the Analysis tools can also be used. Click on any area of interest on the map with the selected tool. 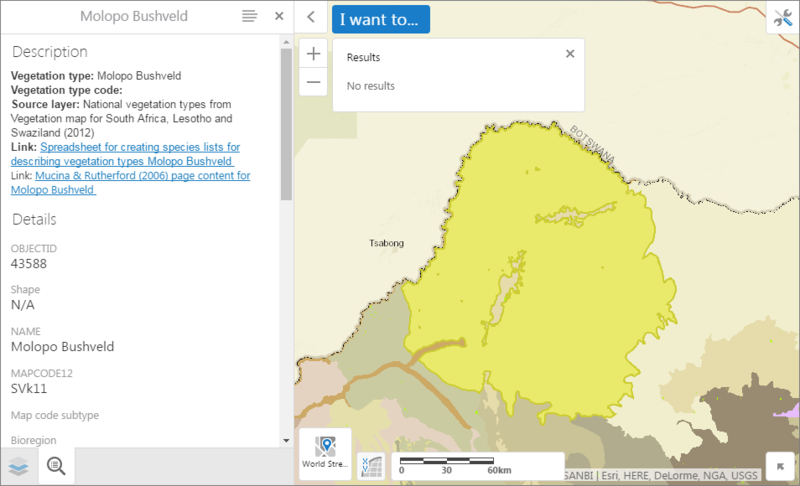 Once you’ve identified a feature, a list of vegetation types will appear in the results panel, to the left of the map window. Click on the vegetation type name listed. The map window should zoom to the listed vegetation type and a description should open in the results panel. In the description window, two links can be viewed. 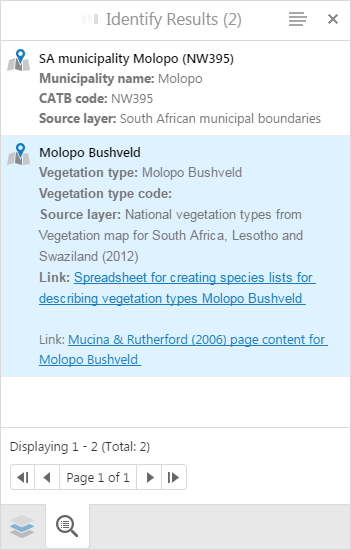 The first link is a spreadsheet for describing the vegetation typed, while the second link is description of the vegetation type as described by Mucina & Rutherford (2006). Click on this link and downloading should commence.